The superhero event is here to stay. It doesn’t matter how well the last big event sold or if the critics panned every issue (and every crossover and tie-in), superhero events are simply too profitable to be retired at Marvel or DC Comics. Rather than discussing whether there should or should not be annual events, at this point it makes more sense to look at what makes these sort of events work well. Events have been a fundamental element in superhero comics since Crisis On Infinite Earths and Secret Wars made a massive splash in the mid 1980s. These 12-issue series managed to shake up all of continuity or, at least, include every character capable of selling their own series. When they first appeared, they shook up the landscape and left dollar signs in the eyes of editors. Things have changed a lot since the 1980s though. The early experiments with crossovers and events led to a well-oiled machine by the turn of the century. Marvel Comics specifically has been built around an ongoing series of superhero events, each one building from what came before with “Avengers Disassembled” leading to House of M leading to Civil War and so on… That doesn’t even take into consideration the additional events like Annihilation or “Spider-Verse”, which encompass only sections of the overall universe. With so many taking place at the biggest superhero publishers each year, we’re forced to ask what the best possible form for these series might be. One of the biggest issues with modern superhero events is the proliferation of issues in each one. These stories typically sprawl to include at least 8 or 9 issues in each narrative. That doesn’t include Free Comic Book Day tie-ins, prologues, epilogues, and unannounced additional issues. The strategy seems to be that more is better, when more is really just more. This level of decompression causes additional problems for both fans and the events themselves. Readers are already asked to spend an average of $3.99 for new superhero comics from Marvel and DC Comics. Events typically contain extended page counts and ratchet that price up to $5.99 or even higher in some cases. When you combine that price tag with the extensive number of issues in a story, it becomes a very expensive endeavor to read. While spending more to get more pages or a big storyline is reasonable, multiplying that with 8 or 9 issues pushes the boundaries of what is reasonable. It also causes issues within the stories themselves. 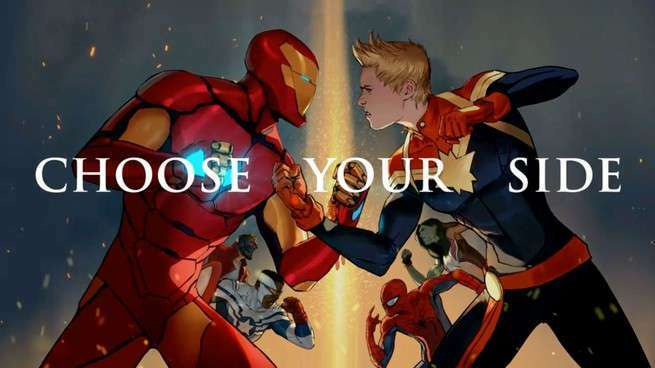 It’s difficult to look at recent events like Civil War 2 or Dark Knights: Metal and make a case that every page was warranted based on the story it told. These narratives tended to wander as they progressed and delays in their publication resulted in a loss of tension. Spacing out great central concepts across unwarranted space makes the investment seem even less worthwhile. The bottom line is that decompression is the worst enemy of superhero events, even more than The Beyonder or Anti-Monitor. This call for compression runs up against a significant challenge for comics writers and artists alike: How do you make the excitement and scale of these concepts fit into less issues? It’s not a question without an answer though. Several of the largest and most creatively successful events of the past several decades have managed to fit their stories into just 4 issues, ranging between 26 and 48 pages each. Series like Cosmic Odyssey, Siege, and, most recently, Justice League: No Justice have all perfected the formula of a 4-issue event. That success stems largely from the artists associated with each series. 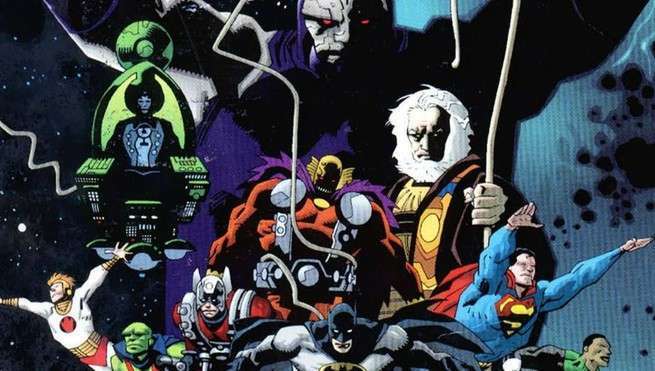 Mike Mignola has been embraced as one of the greatest storytellers in comics today and you can witness those skills evolve in the 1988 series Cosmic Odyssey. Each new sequence added meaning and changed the status quo of the sprawling story through some of the most efficient layouts of the day. Every moment served multiple purposes, reflecting characters, plot, and theme simultaneously. This efficiency also spared room for the big moments that required a splash page to properly convey. While this collaboration between Mignola and Starlin highlights their own talents, it also shows how well great creators can execute an event comic. That can be witnessed in the pages of Justice League: No Justice today, as well. 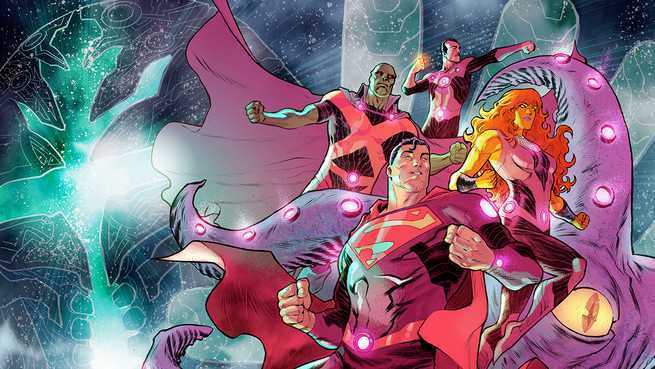 Francis Manapul and Riley Rossmo are the top tier of talent at DC Comics today, and they’re making it clear why that is in this new event. Their approach to the 4-issue series has emphasized spreads, utilizing the extended canvas of two pages to include more dialogue around significant moments that demand additional space. The result has been one of the best looking DC Comics of the past several years. Looking at how artists like Mignola, Manapul, and Rossmo have delivered such outstanding work in limited spaces is only the tip of the iceberg when it comes to the 4-issue miniseries. The limitations of these events require every member of the creative team to make each panel count. When you have a creative team like Brian Michael Bendis and Olivier Coipel on a series like Siege, it’s easy to expect them to do just that. Superhero publishers put their best talent on events because they sell comics, but also because they are experienced and skilled storytellers. Asking the best writers and artists at a publisher to contain a full-sized, status quo changing event to only 4 issues may seem like a problem, but it’s really a challenge. Those restraints don’t damage the story as much as they compel the storytellers to deliver only their best work. It’s much easier to let a scene or drawing slide by when given 9 issues to tell a story, but when only 4 issues are provided every moment needs to count. This isn’t a hypothetical scenario either. Comparing Siege to almost any Marvel Comics event from the past decade shows how well its creative team shines under the pressure of limited pages and time. It still managed to deliver the earth shattering consequences of character deaths, destroyed cities, and the beginning of a new era that series twice its size promised. That goes for Cosmic Odyssey and Justice League: No Justice as well. There’s simply no reason for events to sprawl as long as they do, when their smaller counterparts offer all of the same charms and a better told story. That’s why we hope both Marvel Comics and DC Comics put their best foot (and talent) forward, and focus on quality events over quantity of issues when moving forward.